১. আরুবাতে পাপিয়ামেন্টো ভাষাও সরকারীস্বীকৃত। In Fryslân, the Frisian language is also an official language, and Low Saxon and Limburgish are officially recognised as regional languages. ২. 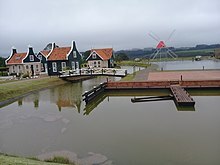 The Hague is the seat of the government of the Netherlands; Oranjestad is the capital of Aruba; and Willemstad is the capital of the Netherlands Antilles. ৪. Also .eu in the Netherlands, shared with other EU member states. ↑ "Netherlands"। Archived from the original on ১০ মে ২০১৩। সংগ্রহের তারিখ ১০ মে ২০১৩। উদ্ধৃতি শৈলী রক্ষণাবেক্ষণ: বট: আসল-ইউআরএলের অবস্থা অজানা (link) , Index of Economic Freedom. heritage.org. ↑ The Netherlands ranks first in the world for work-life balance, iamsterdam.com, 8 March 2018.